Ah, the American grain, the independent films that look at little pockets of US life. 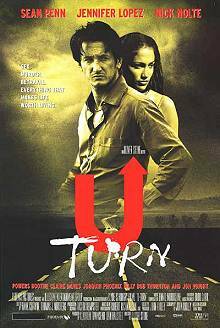 A nasty little man (Sean Penn) is marooned in a small town by his broken down car, encountering a flirty young housewife (Jennifer Lopez), her much older husband (Gary Busey), and a bizarre native (Jon Voight) among others. He is drawn into their intrigues and misbehaviours by his own self-interest. Billy Bob Thornton and Jon Voight have an opportunity to showcase their talents, but it's a bit like watching about a car wreck in slow motion.